Mr. Villegas focuses his legal practice on land use and zoning, employment law, real estate transactions, corporate governance, and real estate brokerage and licensee matters. Mr. Villegas also has a well developed litigation practice including product liability, employment law, contract litigation, construction defect litigation, boundary disputes, and inverse condemnation. Mr. Villegas has represented clients in administrative proceedings before state agencies such as the Idaho Professional Engineers and Surveyors Board, Idaho Department of Labor, Idaho Real Estate Commission and Idaho Department of Transportation. Mr. Villegas graduated in 1995 from the University of Nevada Las Vegas with a Bachelor of Arts degree in Political Science and earned his law degree in 1998 from Gonzaga University School of Law. Prior to entering private practice Mr. Villegas served as a judicial law clerk in both the Idaho Supreme Court and the Ada County District Court, Fourth Judicial District for the Honorable Justice Daniel T. Eismann. Mr. Villegas has previously co-authored the Idaho Submission in the "Business Torts, A Fifty-State Compendium" (Aspen Publishing) and "Product Liability Desk Reference, A Fifty-State Compendium" (Little, Brown and Co.). 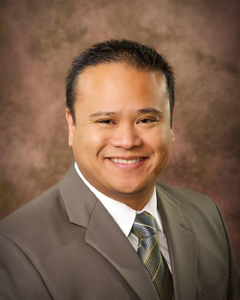 Mr. Villegas was recognized as a Rising Star in the 2010 Mountain States (Idaho) Super Lawyers® directory. Mr. Villegas enjoys serving his community as well, including his current service on the City of Eagle's Planning & Zoning Commission where he has served for the past five years. He has also previously served as the Chairman for the State of Idaho's Board of Drinking Water and Wastewater Professionals, and as a volunteer coach for youth soccer with Meridian's Police Activities League. To contact Mr. Villegas, please first contact the IADA, Kevin Hanigan, for contact information. Dealers and General Managers are invited to be in touch with Mr. Villegas regarding legal issues for their dealership. Other staff may be designated by the Dealer/GM to contact Mr. Villegas with prior permissions.